Stock ROM is an Android system that by default is still intact from the factory according to their respective vendors, as in this post is Stock ROM for ASUS Zenfone devices. Stock ROM in this post is used to update the system or downgrade the Android system on your ASUS Zenfone device. To upgrade or downgrade your ASUS Zenfone system, all you have to do is download the Stock ROM file according to your needs, after that! you can insert the file into the ASUS Zenfone SDCard memory, then restart your device and then you will find the Update / Downgrade notification that appears on your Android device's screen. If you need a Firmware to Flashing on your ASUS Zenfone device, then you can get ASUS RAW Firmware file on the post Download RAW Firmware ASUS Android Devices (Any Models). Or the other ASUS Zenfone Stock ROM on the post Download Stock ROM ASUS Zenfone (Any Models). If you need ASUS Android USB Driver then you can get it on post Download ASUS Android Driver (Any Models), there select according to model of device that you use. How to install Android USB Driver is on post Download and Install Android USB Driver. 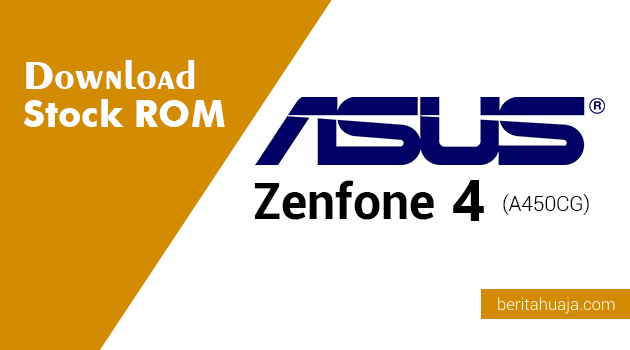 0 Response to "Download Stock ROM ASUS Zenfone 4 (A450CG)"